Prior to setting up Templar Publishing in 1978, you were an illustrator. How has your background in illustration influenced your decision making as Managing Director of one of the world’s leading publishing houses? Love of illustration has had an enormous influence on the shape of all things at Templar – from the decision to concentrate on illustrated books for children as our reason d’être to our commitment to providing a stage for new and unpublished artistic talent. We are one of the few houses that still make room for the less obvious, the more challenging illustration styles – in other words the less commercial – and it is often these ‘outsiders’ that bring us the most critical acclaim. I also think that starting my professional life on the other side of the drawing board brings an empathy to my relationships with our artists, especially when commissioning. Having once worked all night to meet a deadline for a fine pen and ink drawing only to have it sent back with a request that I make the central dog ‘smile’, I am sensitive to the demands we sometimes make of our contributors, particularly where corrections are concerned! I also think that having a practical knowledge of illustrating helps you to play to an artist’s strengths. In September 2008, Templar was aquired by the Bonnier Group. What impact did this aquisition have on the company? In view of the timing, they brought a not inconsiderable degree of financial back-up to the publishing table. Without their support, the exchange rate crash would have had a much greater impact on the expansion of the Templar list. Happily, we have been able to continue expanding in the face of the recession, developing books in new areas, such as fiction. We’ve actually increased our picture book output against the prevailing trend of title count cutbacks and, at the same time, have also invested in the development of our digital publishing strategy. Oh that there was such a thing as a typical day! At least once a week I try to do the rounds of all our brilliant editors and designers, catching up on where we are on projects in development. I’m very hands on and still responsible for the development of new ideas – especially the creation of new novelty formats – and I try to spend as much time as possible thinking about that. In fact, my ‘thinking’ time is one of the most precious parts of my day – whether I’m in the car, in the bath, in a bookshop or out walking the dogs. That’s when there’s enough space in your head for a new idea to come creeping in. 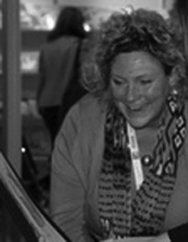 I still have a lot of contact with our key customers and contributors – in fact, there’s lots of collaboration involved all round – but one day is rarely the same as the next, thank god! Templar is well-known for its ground-breaking Ology series which includes a substantial licensing programme. Can you please explain who is responsible for deciding which formats to pursue and for identifying which format will be most successful in different markets? It’s a team thing! It’s principally my responsibility to shepherd the new ideas into good enough shape to enable initial discussions to take place with production and sales, and then to get feedback direct from customers. On lots of titles, you do know more or less who they’re likely to sell to and what the pricing needs to be to make it work. The most exhilarating ideas, though, are the ones where you’re right out on a limb, trying to create something that – on the face of it – disobeys every rule in the book. Ologies were very much a case in point. Even I thought at various times in their genesis that we’d never pull it off but, 18 million copies later, I’m happy to say that we did. A key theme running through some of Templar’s most successful books – the Ology series, Amazing Baby board and novelty books and smash hit novelty book Calm down, Boris! – is the physical look and feel. 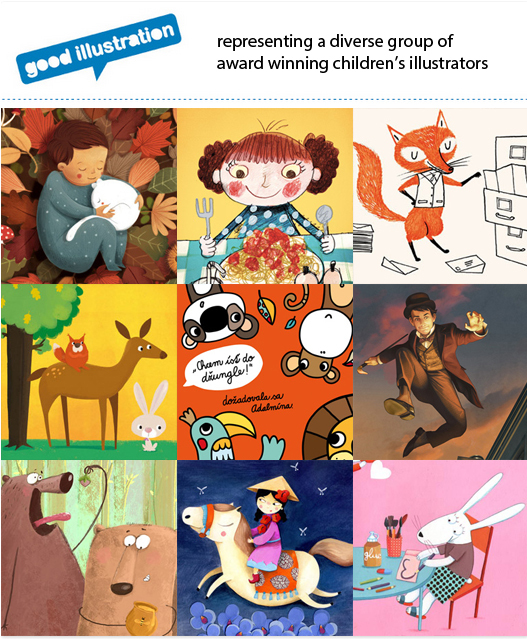 Talk us through how you worked with the illustrators involved in these books to achieve the final, highly tactile, result. Each one was developed in a different way. With Sam Lloyd’s wonderful puppet books we hardly had to do a thing. She sent me the first mock up (complete with working puppet) and we pretty much went straight into production. On Ologies it was a case of working out the format and the editorial angle first and then handing it over to the brilliant Neem Ta, our Ology designer, to put together a team of illustrators, different for each book. She’s the one that brings it all together. And on Amazing Baby, again it started with the look of the graphic. Mike Jolley, our art director, and I have worked together for about a million years and on this project we’d tried a number of different approaches, none of which really gelled. Then we took inspiration from some children’s toys that my son had particularly loved and, hey presto, Amazing Baby was born. With all of our books, it’s never just about the novelty. They’re highly physical but the design and editorial have to be an integral part of the whole. How would you describe Templar’s choice of illustrative style for children’s picture books? Varied! Mikey is the king where picture books are concerned – he has a fantastic eye for spotting new talent – but we try not to get pigeon-holed. The quality of the drawing is always key for me and we are privileged to work with some of the most wonderful artists, both established hands such as the great Michael Foreman and new talent like Levi Pinfold who’s just won the Booktrust Emerging Illustrator award for his book The Django. Many of our books don’t start off with a text that we then try to find an illustrator for. At Templar it’s often more about trying to find the story that an artist wants to tell themselves and then coaxing it out of them! 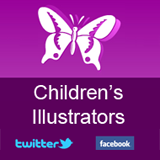 When selecting an illustrator to work with, how important is it that they are willing to personally participate in the book’s promotional campaign such as signings, festivals and school events? It’s not vital, but boy does it help. We have a fairly major presence at all the festivals and organise lots of bookshop events and school visits. When someone really engages with their audience you see the effect it has on building their name – and their sales. Simon Bartram is a great example – he is brilliant in front of an audience, really engaging and truly funny and the kids love him. Little do they know that he’s always sick with nerves beforehand! Who or what do you turn to for inspiration? Lots of things for lots of reasons but my son, Harry, has been a massive influence on what we’ve done for the last thirteen years. He was the inspiration for Amazing Baby and Ologies so no surprise that we’re now onto Y.A. fiction… A passion for nature is also a big influence. I live in the countryside and being surrounded by wildlife is always inspiring. Do you have a personal favourite title from the Templar range of children’s books? Please explain what makes this one so special. Hmmmmm, tough one. It would either be Dragonology because it was so good to see it succeed against all the odds, or a book that I wrote for Ian Andrew – a retelling of Aesop’s The Lion and the Mouse. I’d never met him before and he came in with his portfolio. Just before he left I asked him what was in this cardboard box under his arm and it turned out to be hundreds of pencil drawings for an animation project that had never seen the light of day. They were, and still are, some of the most gorgeous pieces of work and it was an absolute joy for Mike and I to pick and choose the best and make a book out of them. I have two of the originals hanging on my wall at home and I never tire of looking at them. What exciting developments does Templar have in the pipeline?